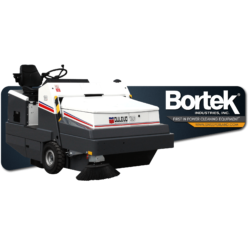 Advance Exterra 6340LP Sweeper Rental - Bortek Industries, Inc. 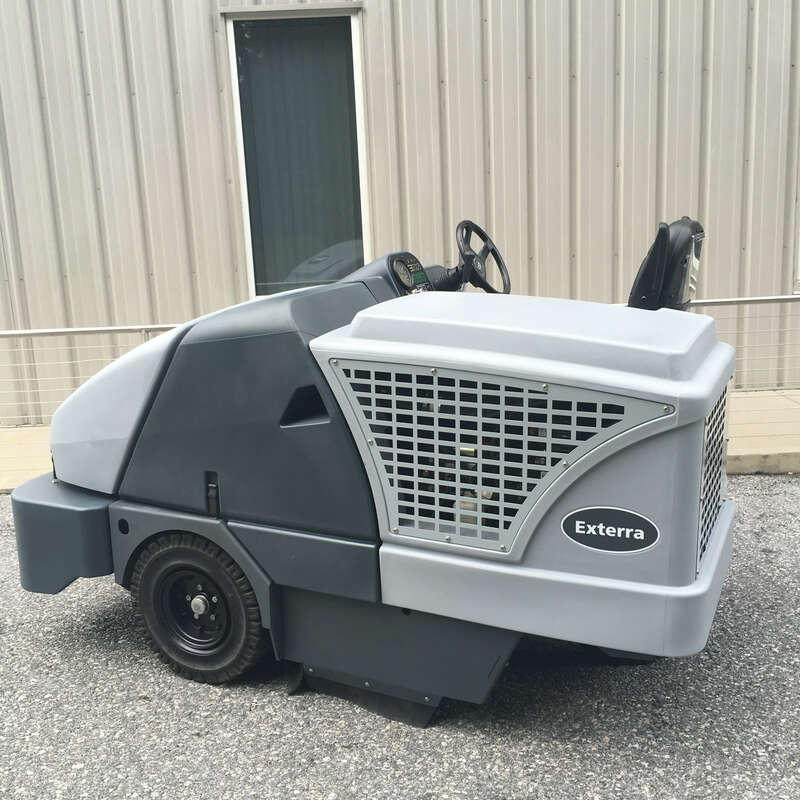 The Exterra 6340LP is unsurpassed in indoor and outdoor power sweeping. A 50 inch main broom and excellent dust control make it a great choice for any job. The Advance Exterra 6340LP is unsurpassed in indoor and outdoor power sweeping. 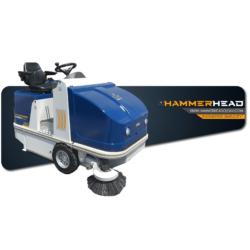 A 50 inch main broom, the widest in this sweeper class, combined with full-time, dust controlled dual side brooms, creates an incredible 77 inch sweep path. On conventional machines, dust is controlled at the main broom and, the side brooms must be raised in open areas to prevent airborne fugitive dust. The Exterra is not a conventional machine. 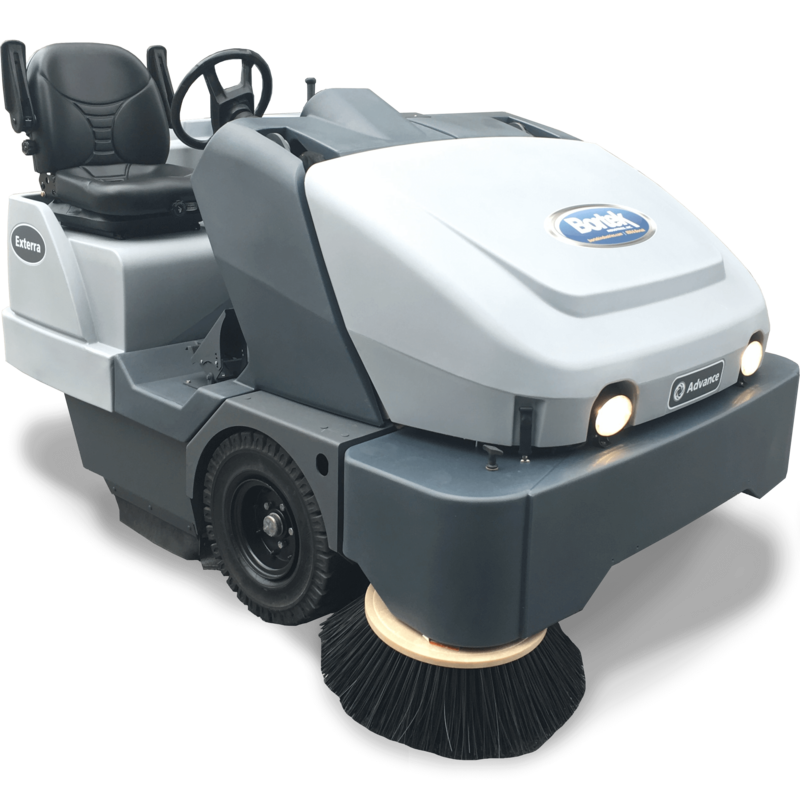 The innovative DustClear Five Stage Dust Control System allows for full time use of the dual side brooms by controlling dust along the entire sweep path including the side brooms. Productivity is then increased by up to 71% compared with conventional sweepers that control dust only at the main broom. 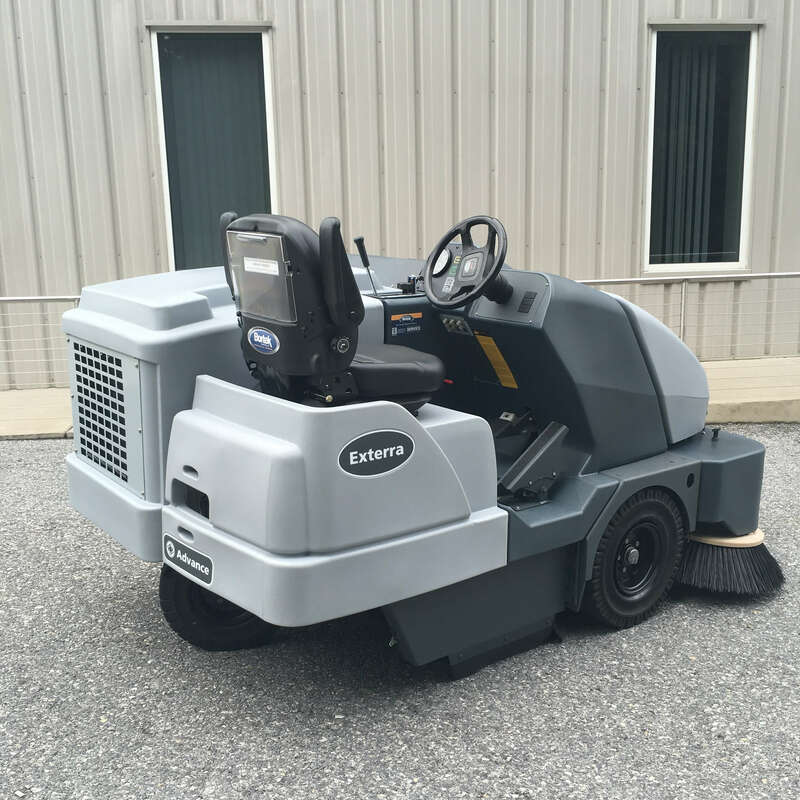 With superior dust control, innovative safety features, low maintenance costs, and ease of operation, the Advance Exterra 6340LP redefines power sweeping. 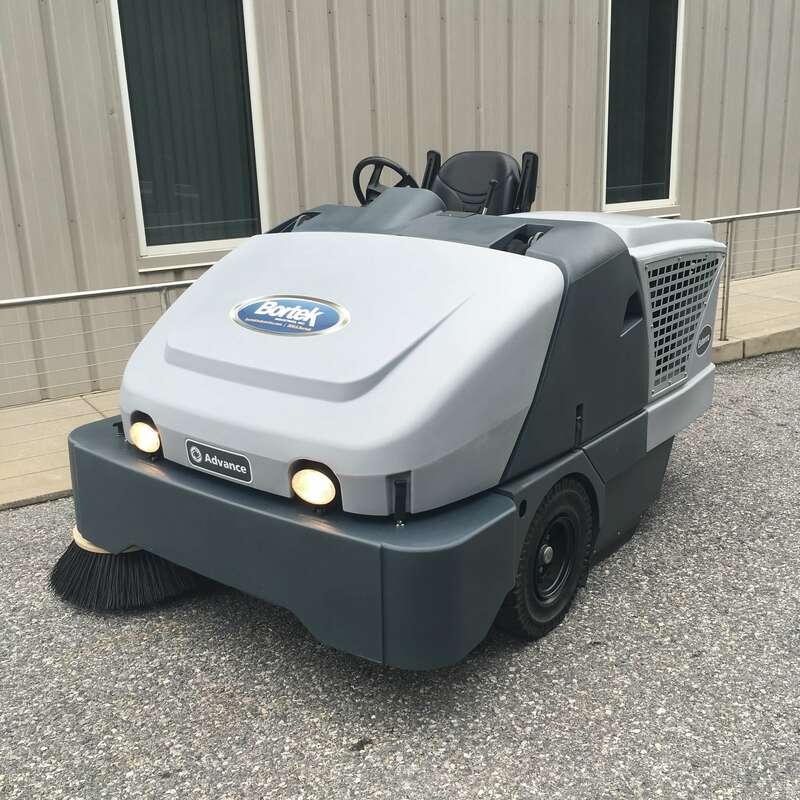 Was in our Bortek Rental Fleet so it’s been well-maintained and is ready to clean! This machine was brand new when we put it into our Rental Fleet. That means a lot because we will only rent the absolute best-in-class cleaning machines that have a proven track record of top-tier reliability and lowest cost to maintain. Make use of our 50 years of experience and save yourself a lot of time and money. These rental machines we’re offering you are being made available at 40-50% the cost of the same new machine. We keep our machines well-maintained by our highly trained and professional service technicians throughout the rental use. They’re cleaned, reconditioned, and detailed after each rental as well. We offer our customers the machines in our rental fleet, at special pricing, every 3 to 4 years so act quickly! These machines sell very fast!